We've had a hard time keeping these a secret from you! 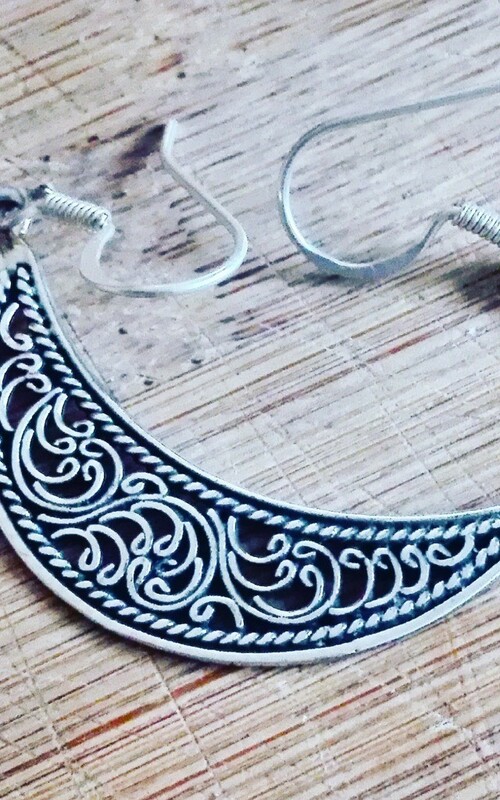 Get on the statement earring trend with these Sterling Silver Filigree beauties. 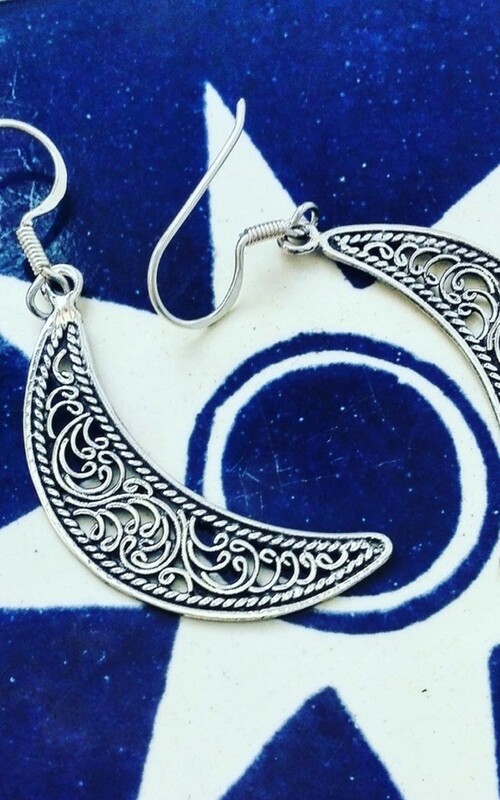 With ornate Crescent moon drops measuring approx. 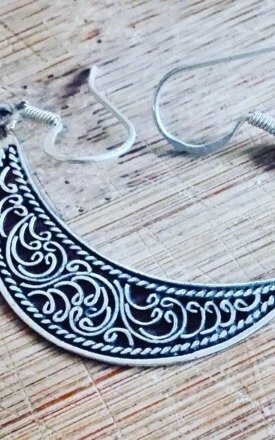 3cmx1cm and a fish hook earring. 925 hallmarked. 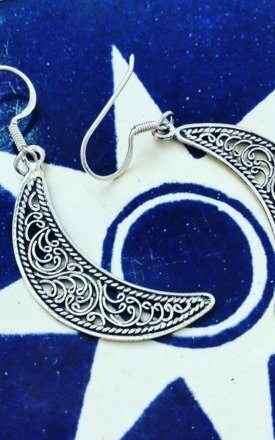 These would make a magical gift!